Islamic Banking & Investment, Asia - Middle East Congress 2016 was held on the 6th of April 2016 at the Intercontinental Hotel Singapore. I was invited to be a panel member in discussing the topic of Digital Economy and Islamic Finance - Opportunity or Disruption. 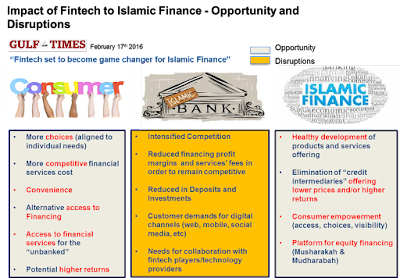 In my view, Digital Economy is both Opportunity and Disruption to Islamic Finance. 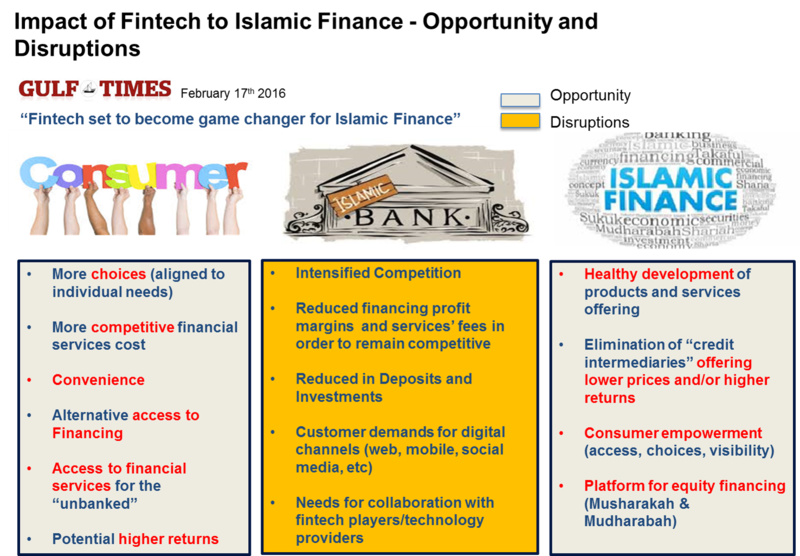 Fintech companies, which play significant role in the digital economy, have created various opportunities for Islamic finance consumers and Islamic finance industry. At the same time, these fintech companies have disrupted traditional financial services players. The picture below illustrates the impact of fintech to Islamic finance and digital economy.